If you stopped by for last week's Favorite Scene Friday, you'll know that we're doing nuthin' but Superman scenes this month in honor of the release of Man of Steel. That's right, yours truly and a few guests will be sharing their favorite moments from previous Superman films. Well, we've got the Man of CT-eel himself doing the honors today (I am NOT happy with that joke). That's right, CT from the Nerd Lunch blog and podcast stopped by to share one of his favorite Superman scenes. He's no stranger to these parts so I'll leave it at that. Enjoy today's scene and go see Man of Steel! Clark Kent has always been one of my favorite comic book characters. I mean, yeah, I love Superman and part of what makes Clark Kent awesome is that he is Superman, but between the two personas, I prefer Clark Kent. Always have. There's something incredibly interesting to me about a guy who is the most powerful being on the planet and he walks around as a plain ol' guy. Add to that the times he has to jump into action as Clark Kent and yet still keep the identity a secret and you've got a pretty awesome storytelling device. I get that the disguise is hokey and no one buys into it anymore. Slap on a pair of glasses and change your hairstyle...that's not going to fool anyone in real life. But this isn't real life. And that's part of the charm. I don't know if I can pinpoint when my love for CK started, but I did always like the George Reeves version and upon seeing it later, the CK of the '40s cartoon. He was so calm and cool and just seemed to be having fun with it. You could say he was mild-mannered about it all. Even in the comics, Clark was given a similar treatment. He had his own complicated backstory with Smallville and Lori Lemaris just as Superman did with Krypton and all that jazz. But then came along Richard Donner and Christopher Reeve and they made a brilliant rendition of Superman in 1978. In this version, Clark Kent was changed to further disguise the persona. And Reeve portrayed it beautifully. But there was, and still is, a part of me that misses the Clark Kent that carried a bit more confidence. 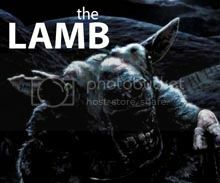 He doesn't get much screen time in the first movie and what he gets in II alters the story drastically. So along comes III and it seems like we have a chance to give Clark Kent some character development. Except, Superman III is...well, it's Superman III. Robert Vaughn is the villain and Richard Pryor is this weird comedic foil/sidekick. And some pretty cool opportunities to do things with Clark visiting Smallville again are absolutely wasted. 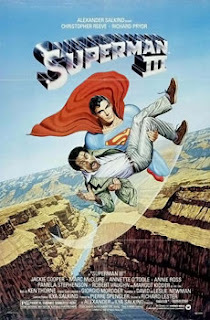 About halfway through the movie, Pryor's character creates a fake version of Kryptonite that alters Superman's mind and makes him into an apathetic jerk. And there is no one who can stop Superman. No one. No one except Clark Kent. For no real explicable reason, Superman lands in a junkyard, a glowy thing shines on his forehead and he splits into Clark Kent and Superman. It's vague what caused this to happen and whether it was a physical fight that proceeded between the two personas or a mental one. But I loved it because it was the kind of thing you'd see in the comic. Superman and Clark Kent fighting each other? Amazing. The best moment in this might be right after the first punch Clark gives to Superman right into a vat of open acid (is that a thing junkyards have?!) and in that brief moment, he straightens his tie and seems to carry a bit of the confidence that I missed seeing in the Reeve incarnation of Clark. Best of all, the persona that wins this fight in the end is Clark Kent. This lone scene is the third movie right here. The other hour and 45 minutes is a waste of Christopher Reeve's talent and completely misses a chance to tell a great story. After seeing that Superman is the dominant persona in Superman II and Clark doesn't get what he wants, it would have been nice to build a movie around the counter-argument that Clark is vital to the character as well. It helps keep him grounded and allows him to see his place in helping humanity rather than being above them. The scene is really well done and one of the better fight scenes in the series. (Maybe Paxton Holley will talk about Nuclear Man when he gives his favorite Superman scene.) Add to it that this movie is really bad. Really, really bad. And yet somehow it exists anyway in spite of that. This really is one of my favorite scenes. And the acid can burn Clark's suit jacket (only!) but not Superman's suit or cape? Regardless this is a great scene. "What's a matter, Kent? Too warm for ya, huh? HUH?!" "Hey, guys, should we at least cover this acid pit up? I mean Ralph fell in just last week." It's a testament to Reeve that the best scene in Superman III (by far) is just him acting against himself. I haven't seen III in a long time (and I don't think I've seen IV at all) but from what I have seen and read they're so bad because of the logic. Superman splits into two for no apparent reason? Supes is cloned from his DNA being injected into the sun? It's almost like fantasy logic instead of super hero logic (which isn't a big difference I guess). Great write up, CT! Thanks for writing for us again. Great write-up, CT! Pretty cool scene, but I think David Fincher did a much better job with it in "Fight Club". I've never seen the movie, but I have to assume the entire fight was nothing more than a figment of Clark's imagination??? My excitement for MoS is off the charts; I don't mean to hurt your feelings, or 90% of the population for that matter, but I just cannot get behind ANY of the five Superman movies. So my hopes are that I will leave the theater a new man with a new passion. Reeve was too lame in my opinion, Routh was a joke, and the portrayal of Lex Luthor (in all films) leaves me laughing, not in a good way. I like the Super character, grew up watching "Lois & Clark", was excited prior to seeing the old movies, but they never "got" me or maybe I should say I never "got" them. Also, I never really got into the comics so maybe that's why I remain so disinterested in the previous movies. Again, great write-up and I'm hoping to see the error of my ways tomorrow. Thanks, guys for the comments. Nick, I had not ever thought about the fact that this is Fight Club before Fight Club. That means Superman III might be influential in two of the greatest films to come out of 1999 (Fight Club and Office Space). Superman does not appear to be for everyone. And after 75 years, it's easy for people to a la carte their favorite characteristics of Superman into what they think he should be. I still haven't seen Man of Steel yet, but I'm hopeful I can leave my Superman "baggage" at the door and enjoy it for what it is.